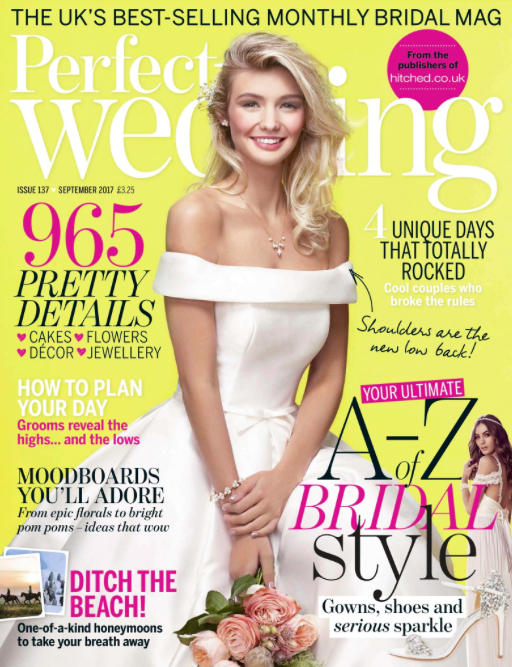 We are absolutely delighted to be featured in Perfect Wedding Magazine for September 2017 issue. Our beautiful NEW COLLECTION and particularly our Titania Black Crown, Sakura Hairpins, Orion Hairpins, Papillon Earrings and Celeste Earrings are featured in the lovely pages of the new issue for September 2017. Thank you so much!